Jimmy Kimmel has got to get a better lock on his bedroom door. Or a wife who isn’t so willing to allow singers to sneak into their home late at night to give him a horrifying wakeup call. 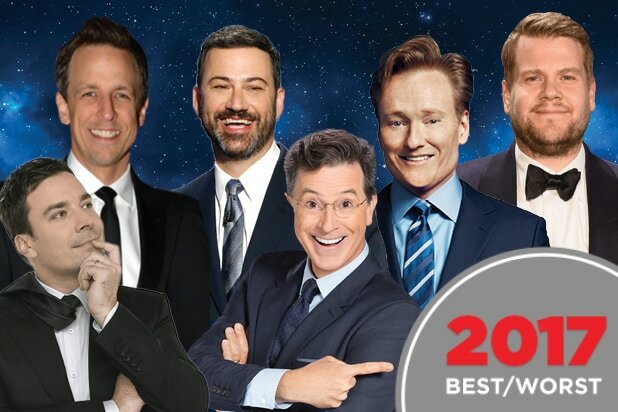 Seriously, the late-night host has suffered through this problem three times now, thanks to his wife Molly McNearney’s willingness to plan pranks with Rihanna, Britney Spears and now Miley Cyrus. On Monday’s episode of the “Jimmy Kimmel Live!” viewers were treated to a pre-taped clip that showed Cyrus coming into Kimmel’s bedroom around 1 a.m. like a “wrecking ball.” Now, it was actually a sledgehammer that Cyrus was hitting Kimmel’s bed with, but she did end up throwing some fake rubble on him and a person dressed as a wrecking ball. “See you next time!” Cyrus shouted on her way out. “There’s gonna be a next time?” Kimmel asked, groggily. Unfortunately for Kimmel, like, as if this wasn’t already bad enough, Cyrus confessed after the prank was over she accidentally, “hit him in the b–ls” with the sledgehammer. Ouch!